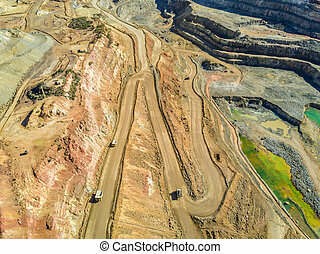 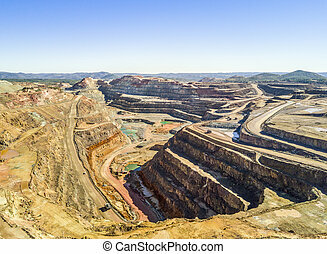 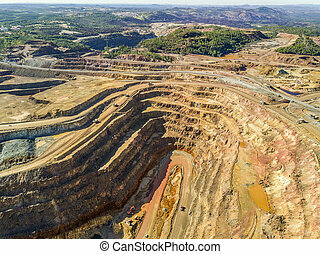 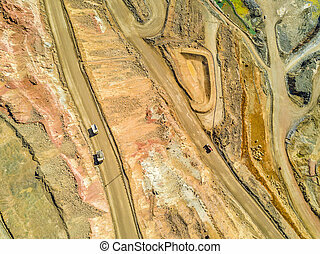 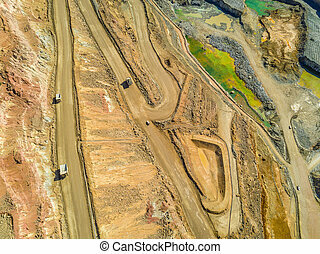 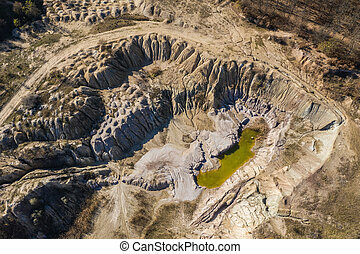 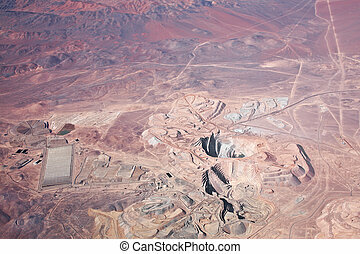 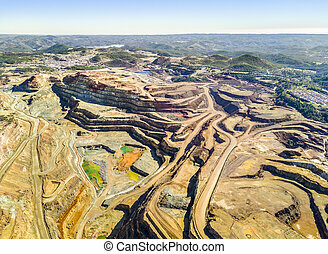 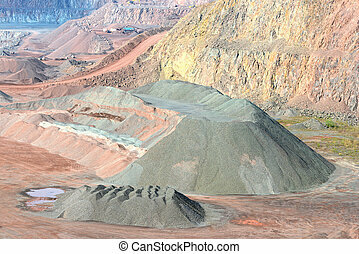 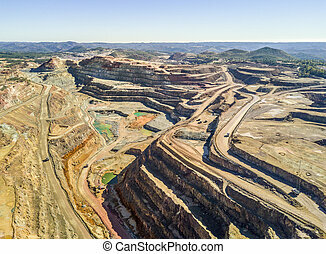 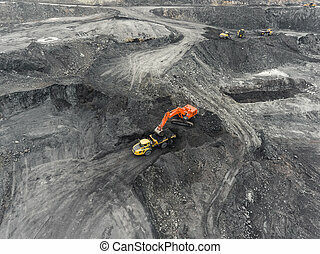 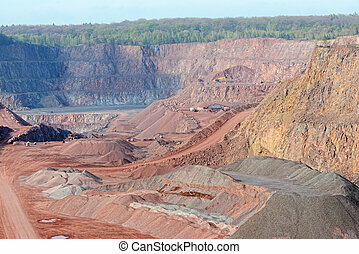 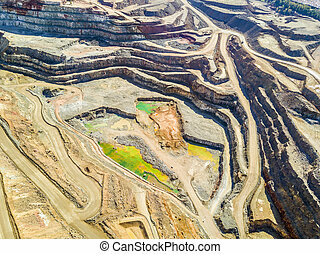 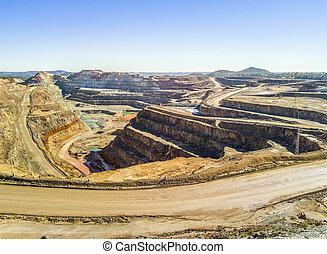 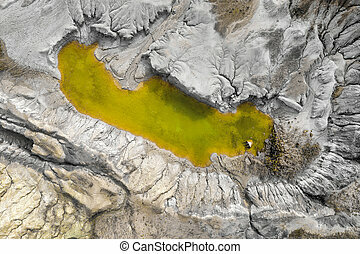 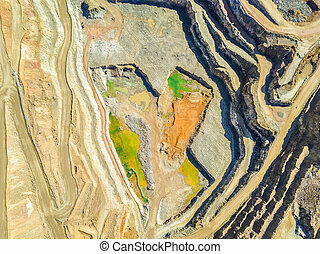 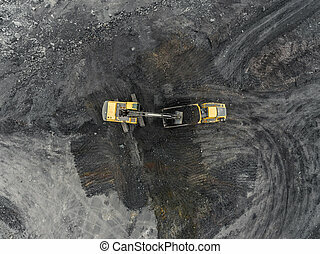 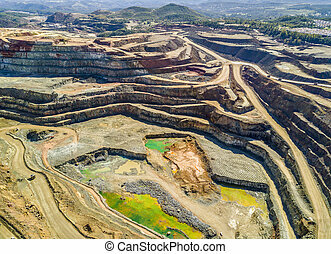 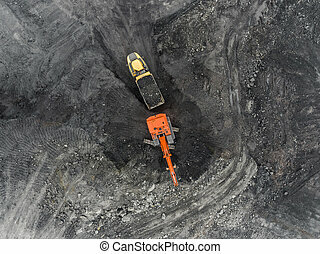 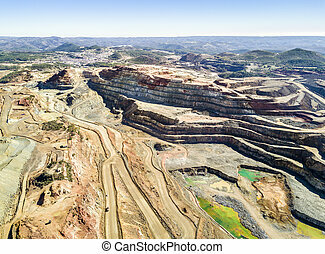 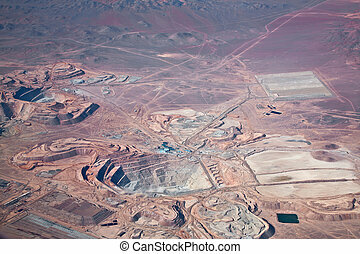 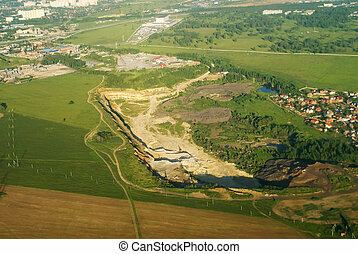 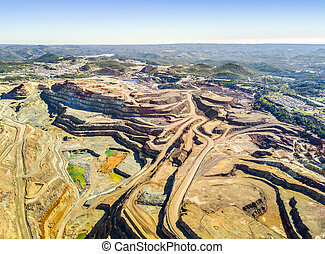 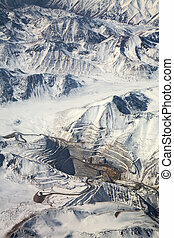 Aerial view of huge, open pit mine. 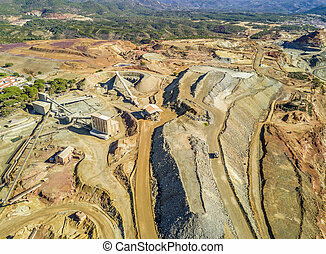 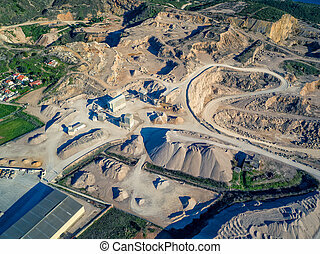 Aerial view of huge, modern open pit mine in minas de riotinto, andalusia, spain. 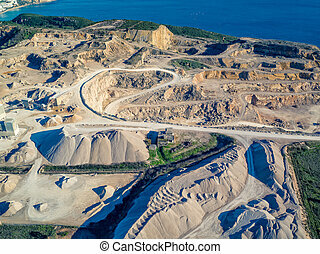 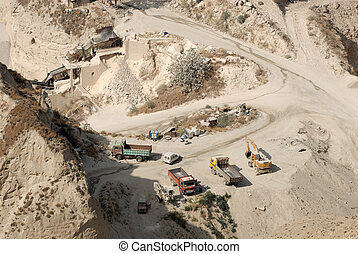 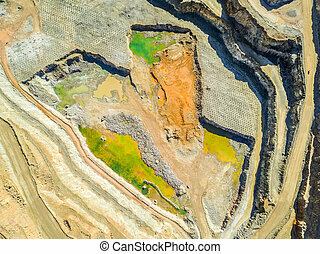 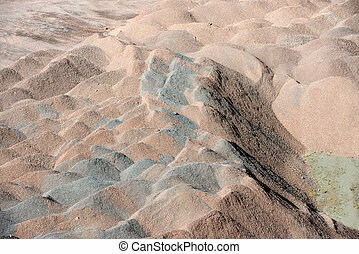 Aerial view of quarry. 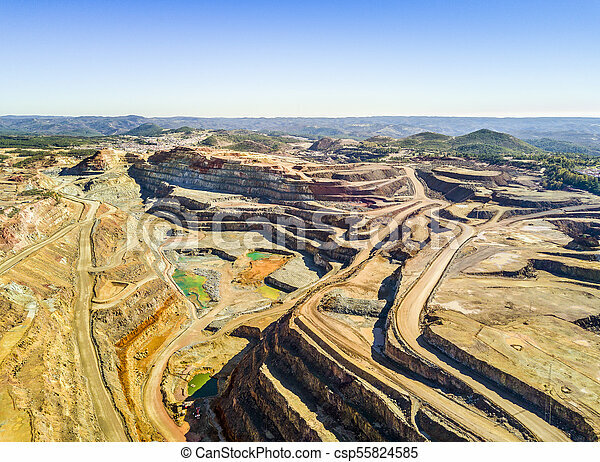 open pit mine of Porphyry rock.